Those unusual beehive fireplaces were made by craftsmen with heart. In the 1940’s, families would pile in cars and head to Lilac Way. Pulling off Highway 100 into one of the seven roadside parks, they’d roast hot dogs in a beehive fireplace that was handmade by local stonemasons. 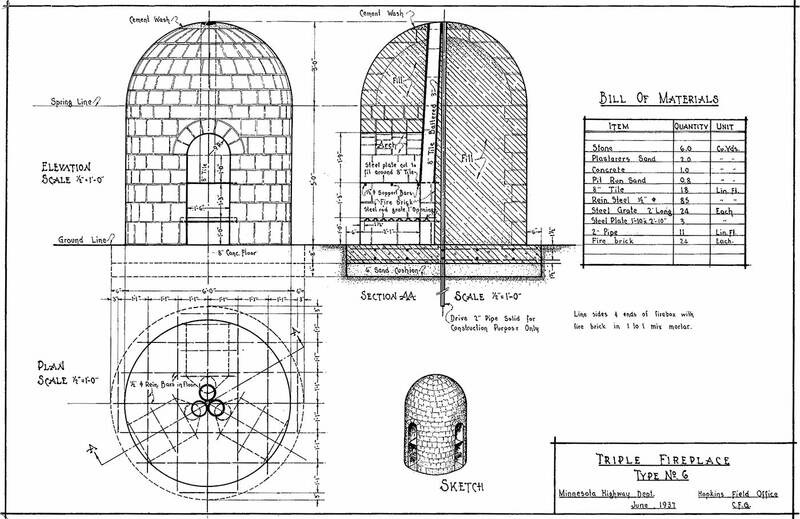 Under the WPA, unemployed stonemasons created each beehive using a wooden pattern, hand-cutting each block of limestone quarried from the Minnesota River near the Mendota Bridge. Lilac Park, restored, 2009. Restored beehive fireplace, handbuilt by the WPA in 1939. 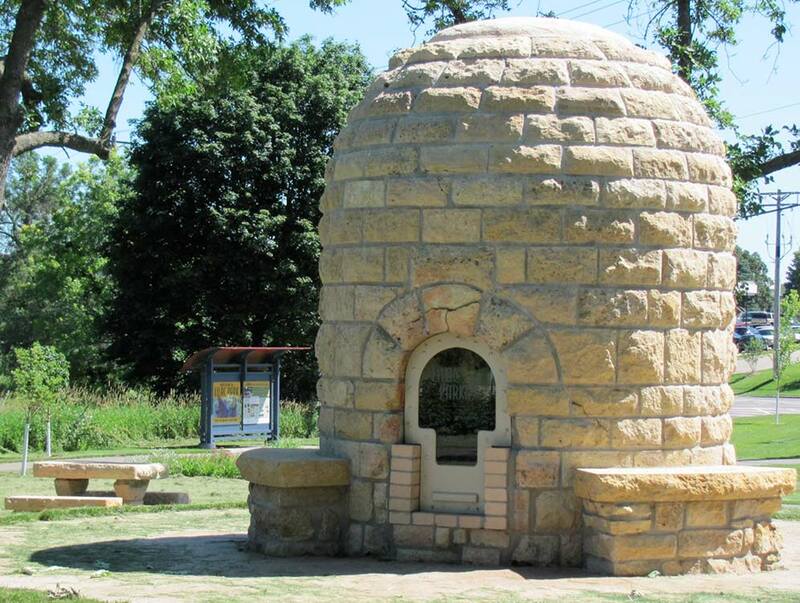 Stonemason John J. Schulte of Minneapolis built the beehive fireplace in Graeser Park in Robbinsdale. “His complete knowledge of the craft to which he has devoted his life is responsible in no small degree for the stone tables, benches and outdoor fireplaces and open grills at each of seven picnic spots along the Belt Line.” — The Minneapolis Morning Tribune, December 16th, 1941. Stone Cutter Gives 65 Years of Experience—Memorials Highways Beautified. The Minneapolis Morning Tribune, December 16th, 1941. 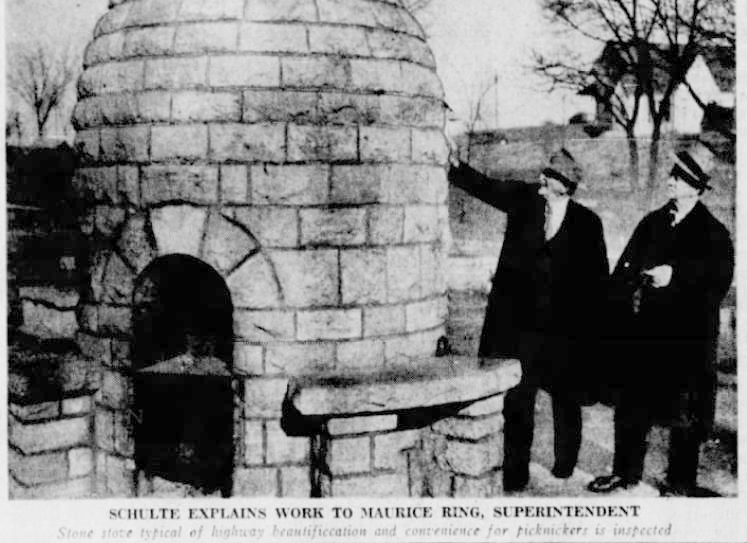 Article about John J. Schulte, built beehive fireplace in Graeser Park. "Schulte Explains Work to Maurice Ring, Superintendent. Stone state typical of highway beautification and convenience for picnickers is inspected." From article about John J. Schulte, built beehive fireplace in Graeser Park in Robbinsdale, MN. The Minneapolis Morning Tribune, December 16th, 1941.